With over 6000 people currently in prison, including nearly 100 journalists, 40 trade unionists, hundreds of elected mayors, councillors and local officials, and thousands of members of the Peace and Democracy Party (BDP), Prime Minister Recep Tayyip Erdogan and his AK Party appear to be relentless in their efforts to suppress the Kurdish struggle for liberation. Since 2009, thousands of these arrests have been made in the name of the ‘KCK operations’, which has targeted individuals for allegedly being members of the Union of Kurdish Communities. The KCK is a civil society organisation that the Turkish government claims is the urban wing of the Kurdistan Workers’ Party (PKK) and that has been officially designated as an illegal organisation by the government. Along with Turkey’s widely criticised anti-terror legislation (TMY), these policies have led to Turkey having a third of the world’s ‘terror suspects’ residing in its jails. In many ways, it is on this front of Turkey’s war on its Kurdish citizens where the government’s approach is most insidious. To form a coherent, strong and resilient political movement in these conditions is extremely difficult. There are, however, a growing number of grassroots, local and national projects and initiatives that aim to confront this repression, and many of them are being led by Kurdish women. Professor Mary Davis, well-known academic, trade unionist and former elected member of the TUC women’s committee, recently returned from a solidarity delegation to North Kurdistan where she met with a number of the women at the forefront of this political movement. Professor Davis has reported that in every one of the projects she visited – from the women-run news agency JinHa, to the women’s advice centre Dikasum, to trade union officials and the women’s section of the Peace and Democracy Party (BDP) – she was told that ongoing military conflict, state repression, internal displacement and patriarchal violence have continued to exacerbate the oppression of women in the region. Nevertheless, women’s organisations continue to be amongst the most visible of the Kurdish liberation movement. The reality is that the struggle against this ‘double repression’, the fight for rights as a Kurd and as a woman, puts women at great risk of arrest, violence and maltreatment by the State. Senior female BDP members, and high level female officials at trade unions like KESK (Confederation of Public Employees Trade Unions) have been detained, and the numbers are disproportionately high – in the last three years, seven of the senior union members arrested are the female secretaries of KESK and its affiliated unions. KESK’s militant and vocal opposition to the AKP, and to nationalism, militarism and racism in general, has also led to a variety of attempts to dismantle the union. Most recently, on 25 June, 65 members were detained in raids across 20 cities in one day. They are now awaiting trial. Professor Davis was part of an international delegation which was initiated by CENI – Kurdish Women’s Office for Peace. With 12 delegates in all, the group visited a variety of women’s organisations, women’s rights and human rights groups based in and around Diyarbakir (Amed), to strengthen solidarity with the women’s movement and the trade union movement. 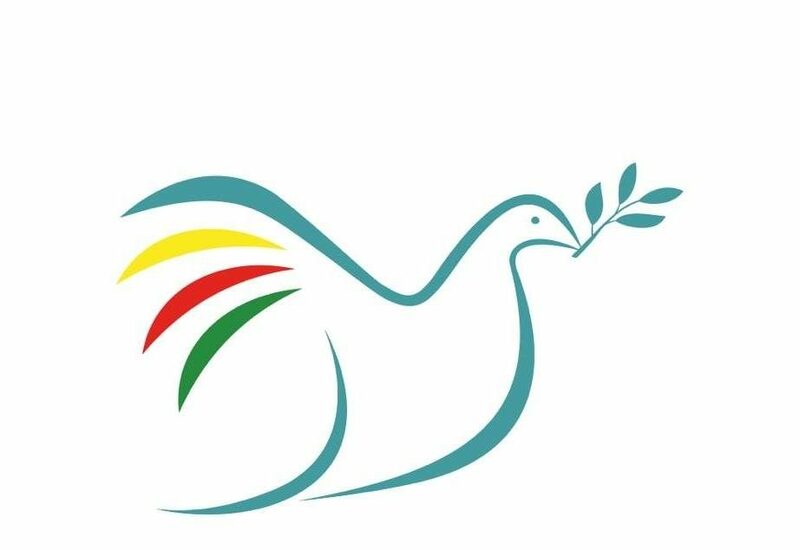 Peace in Kurdistan Campaign, which supported the delegation, interviewed Professor Davis on her return to the UK. The delegation was made possible due to generous contributions from the Lipman-Miliband Trust, UNISON South Lanarkshire and UNITE London North West Branch. In Diyarbakir, you visited the women’s advice centres Dikasum and Kardelen, which have had to cope with the effects of both patriarchal violence and state repression. What are your impressions of their work? The women’s advice centres do very necessary work, because as in most countries, in Kurdistan women really do face the brunt of the violence and the ideological attack by the State. One of the things that I think is important to note first of all is that the number of rapes and physical violence against women seems to be increasing exponentially. But I also remember that I asked one female BDP official ‘What is the AKP’s policy towards women?’ And she said, without a smile on her face, ‘Islamism’. What they want to do is to ‘islamise’ women so that they know their place, that means they will try to build a lot more mosques in Kurdistan (which is a relatively secular society compared to Turkey). Erdogan has got the reputation in the West of being a secular leader, which is quite a misplaced reputation. So I think the women’s advice centres are very important. And they also important because women can go there if they suffer domestic violence – and they still do, despite the fact that the policy in the region is that if any man workingfor local government is found guilty of domestic violence, he would lose his job and he would lose all his benefits. I don’t know of anywhere else in the world that has such a progressive policy. We heard this from the mayor of Amed, Osman Baydemir, who is a man and a self-proclaimed feminist! Jinha, the women-run news agency, was set up just a few months before you visited Diyarbakir in March 2012.What did they tell you about their aims and strategies for resisting patriarchy in media coverage? The Jinha news team were very interesting, because they knew they couldn’t get the news about women reported properly, and so I thought to [establish a news outlet such as this] was a remarkable thing to do. [The media world] is such a masculine culture, and they were very keen on presenting the women’s perspective on everything. The other thing that was very interesting about them was that they wanted to internationalise the women’s struggle. They didn’t want their struggle to be just a Kurdish one, but they wanted us to send them our reports from the women’s movement internationally. I mentioned to them the Women’s International Democratic Federation (WIDF), and I thought it would be good for them to link up with that organisation, because they include almost every country in the world and have [international] conferences. I just thought it was incredible – they wanted news reports from other countries from across the world, as they said it would inspire the women of Kurdistan, and I can understand that. To know that women are fighting all over the world. [Even in Britain we are still fighting], and domestic violence is still a real issue. Of course everything is that much worse in Kurdistan –and indeed, the State backs the attacks on women. They also use a beautiful symbol, a butterfly, which we saw everywhere, which seems to symbolise where they are going – peace, feminism and freedom. Members of the Confederation of Trade Unions for Public Services (KESK) has been subject to dozens of arbitrary arrests and imprisonment in recent months, culminating in the arrest of 65 union members in one day as part of the KCK operations on 25 June this year.What did the KESK officials that you met explain to you about the current situation? We met trade union representatives both in Amed and in Van. We met women representatives from KESK, the umbrella organisation, which has within it a number of different unions. But the number of unions has been reduced severely by the Turkish state, who have been really clamping down on trade unionism. The people who are most in the line of fire, it seems to me, are trade unionists, who they call ‘terrorists’, and especially women members. (The BDP comes third, and that goes without saying, but of course all of these groups and organisations are deemed to be ‘terrorist’ simply because they are not AKP!) So trade unions are nominally legal but in reality they are not allowed to function freely. The officials we met were very angry because they didn’t think that anybody outside Kurdistan was taking up their cause. And actually they are quite right. Those trade unionists were arrested for no other reason than the fact that they are members of a trade union. This is in defiance of all ILO conventions. In Amed, they expressed a desire to come to London and I told them I would attempt to facilitate that, and arrange a visit whereby they could meet the General Secretary of my union, UCU, who is also the chair of the TUC International Committee, Sally Hunt, also for them to meet Francis O’Grady, the new general secretary of the TUC and also the president of RMT. I hope to have an emergency TUC motion in place. [We exchanged emails] and hopefully something can come out of that. Those arrests have prompted statements of solidarity from some international organisations, such as the International Federation of Human Rights Defenders (FIDH). Should the trade union movement, in the UK and internationally, make stronger calls for their release? I have seen more [statements on this issue] than I have seen in the past, which has surprised me, because I think Kurdistan is the forgotten cause of the entire labour movement, and particularly Kurdish trade unionists. Despite the severity of the repression there appears to be strong political engagement from Kurdish women, which is shown by the variety of women-run projects that are confronting some of the most difficult women’s rights/Kurdish rights issues head on. This has corresponded with more and more women being arrested for defending human rights, and subject to prison and mistreatment. What did the BDP tell you about this situation in the current context? First of all, what struck me was how many women were in leading positions in the BDP. I thought it was fantastic – so many more than here, where we think that we are so ‘right on’ because there are women on the television. [Whereas in Kurdistan, too often stereotyped as a so-called “backwards” country by many in the West], they really mean what they say [when it some to women’s empowerment]. So I think the Turkish state is very scared of women, and that is one of the reasons they continue to prohibit the language. So they violate women, and they pinpoint women as the source of political terrorism. In a way this ties in with the Peace Mothers, who we met in Van. What incredibly brave women they are – their children are up in the mountains as freedom fighters, or dead. Now these were quite elderly women, but they all came to Ahmed for the July 14th demonstration. I thought they were amazing. You were in Diyarbakir on 14 July during the demonstration organised by the BDP – what did you witness on that day, and what were your impressions of how the police and the state mobilised against the demonstration? The police were utterly appalling. It was a completely peaceful demonstration, and what did they do? They had – and we’d seen them gather in the previous days – armoured cars and tanks lining the streets. It made me think of civil war, and in a way it was a civil war. I was supposed to be going on the coach with the politicians but the coach wasn’t let through, which of course meant the politicians weren’t let through. [Instead we travelled in a car, a diplomatic vehicle], and we were able to pass around the city and see what was happening. I saw some horrifying things; for example one elderly man, just trying to cross the road, and suddenly the police started throwing rocks at him, then tear gas, and then used a water canon. And all he was doing was crossing the road! We went back the following morning because we heard there was going to be another demonstration, and they took our passports when we tried to get into Sumer Park. I thought it wasn’t a particularly good idea to go back, because you cannot deal with such force unless you have counter force, and unless you have the numbers that counteract it, and I realised that a log time ago. But the others wanted to make a statement, which is fair enough. Jeremy Corbyn MP, Jill Evans MEP and Lord Hylton recently travelled to Ankara to discuss the deteriorating human rights situation in Turkey, and a number of individuals they met expressed concern that Turkey is being held up as a model democracy in the Middle East, while the persecution of the Kurds is ignored by the international community. Did you find the same concerns amongst the people you met? Given the UK government’s support for Turkey’s ‘fight against terrorism’ and the string economic and military ties between the two countries, do you suppose we’ll see any pressure on Turkey to commit to human rights standards coming from the UK government? People asked us about this a lot, about the UK and the German government, but I did get the impression that the [Turkish state], and Erdogan in particular, was a ‘street angel and a house devil’. He’s an absolutely appalling person. In fact, I remember seeing a rally that he was speaking at on television, and I thought it was crypto-fascist. The whole thing was Hitlerite [in feel]. I think that he really does completely and utterly fool the West. We had had a discussion with a newspaper editor in Batman just before we left, who asked why the UK and others are ignoring the repression of the Kurds. I said to him the reason is that Britain is basically following the same policy they have pursued from the Ottoman empire onwards, which is to maintain a Turkey which is one single state. Then it was all about the Berlin to Bagdad railway. Now the oil is important, and hence for geopolitical reasons there must be no dismembering of the region. And they don’t care what government it is as long as they can keep Turkey together. And they will never talk about Kurdistan, they don’t care. These aren’t people who care about human rights – though they might talk about it – but really, they are like smiling crocodiles. Abdullah Ocalan, The Revolution is female, Il Manifesto, 09 March 2010. See also Trade Union Activists are in Jail in Turkey, but why? by Zeynep Ekin Aklar and Gaye Yilmaz. The ratio of murders of women increased by 1400% between 2002 and 2009 under the AKP government, according to Ministry of Justice figures. 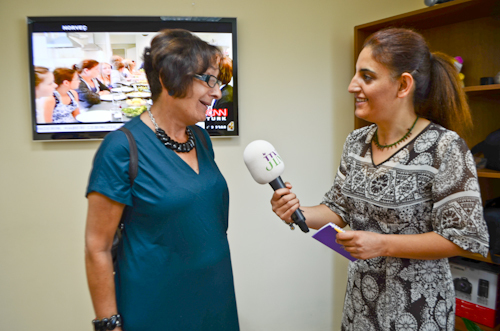 The Jin News Agency, Turkey’s first women’s news agency, broadcasts in Kurdish, Turkish and English. Along with statements by the International Federation of Human Rights Defenders (FIDH), other actions in solidarity from the international labour movement include protest letters sent to PM Recep Tayyip Erdogan by the International Trade Union Confederation (ITUC), European Trade Union Confederation, and Public Service International (PSI), as well as Education International and LabourStart’s online campaign defending the arrested trade unionists. For an in-depth analysis of the risks faced by women human rights defenders in Turkey, see a recent report published by London-based Kurdish women’s group, Roj Women, called ‘A Woman’s Struggle: Using gender lenses to understand the plight of women human rights defenders in Kurdish regions Turkey’, available to download on their website. The women’s delegation has also produced an eyewitness account of the police response to the demonstration. More information on this parliamentary delegation, the first of its kind to the Turkish Assembly, is available on the Delegations page, where a copy of the report is available to read and download.